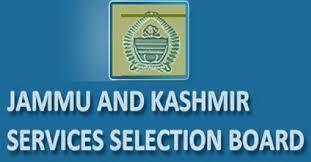 Jammu : J&K Services Selection Board (JKSSB) today issued advertisements for 1235 posts for five New Medical Colleges in the State. “Any person who finds difficulty in submission of application form due to any technical issue or who may like to seek a clarification is required to send a self-explanatory mail at [email protected],” he said and added that no other mode of submission in this context would be valid. Moreover, only the grievances pertaining to the active applications will be replied through the email, he said.